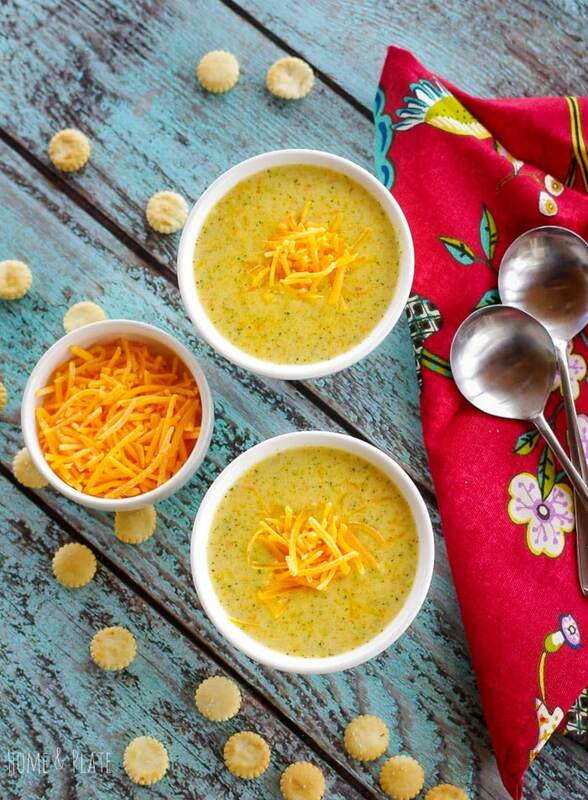 Create a delicious sharp cheddar broccoli chowder in under 30 minutes with this super easy recipe. I love the broccoli cheddar soup at Panera but eating out or getting takeout can be expensive. So why not make this copycat recipe at home. It’s a healthier version made with fresh broccoli and carrots, whole wheat flour and substituting milk for half the cream required. Soup is always better when it’s made fresh. You also have total control as to what goes in your pot. 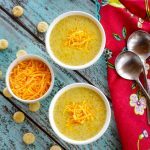 This broccoli sharp cheddar chowder couldn’t be any simpler and is perfect for a cold winter’s day. You’ll need an immersion blender to purée the broccoli. I used just the florettes of the broccoli but adding the stems intensifies the flavor. I also swapped out all-purpose flour for whole wheat to add a touch of nuttiness to the broth. The soup is perfect for lunch or as an appetizer to the main meal. After making this chowder I wished that I had doubled the recipe because everyone went back to help themselves to seconds. Create a delicious sharp cheddar broccoli chowder that is cheesy and creamy in under 30 minutes with this super easy recipe. In a heavy soup pot sauté the onion and garlic in the butter for 3 to 5 minutes. Next add the flour and brown for an additional two minutes. Stir in the milk, cream and chicken broth and bring to a boil. Reduce the heat to medium low and allow the mixture to simmer for about 10 minutes until slightly reduced and thickened. Add the carrots, broccoli and bay leaf and allow the vegetables to simmer and soften in the broth for 20 minutes. Discard the bay leaf. Using an immersion blender purée the soup to your liking. Add the cheddar cheese and sprinkle with kosher salt and pepper as needed. 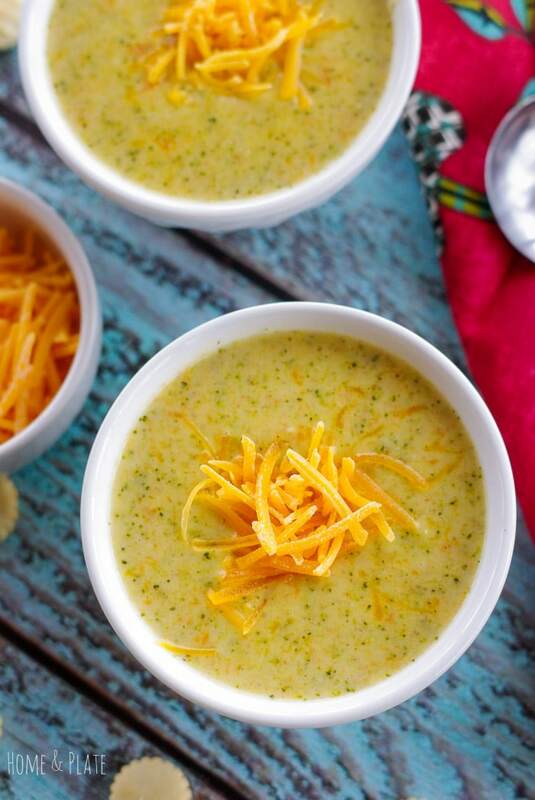 Serve the soup in bowls and garnish with additional cheddar cheese. I love this recipe! Broccoli is often with blue cheese in soups (that I’ve seen!) but cheddar sounds even better. YUM! Blue cheese sounds delicious too! We love broccoli soup….and I actually did a post on one this week too. 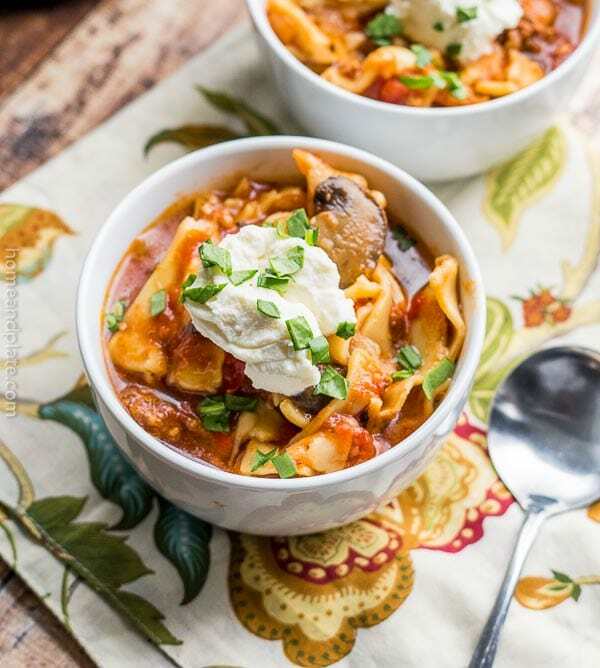 It is such a satisfying soup…especially when you add the CHEESE!! Can’t have it without the cheese!! So delicious this time of the year and yes the cheese is absolutely necessary. 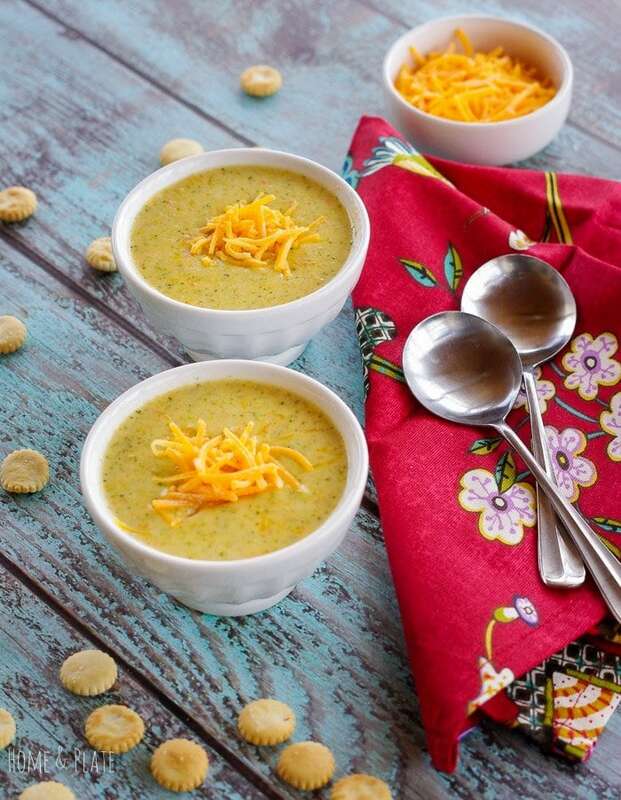 Broccoli Cheddar Soup is one of my favorites, and your version looks especially good. Great idea on adding the whole wheat flour to thicken. I’m going to try that too next soup I make. It does make a difference and the flavor is really unnoticeable. Give it a try. This looks so good! I became obsessed with the Broccoli cheese soup at Panera bread and had to cut myself off. lol. Homemade is always better though! I’m loving the use of sharp cheddar. It gives it that bite that I’m looking for! Thanks for sharing!! 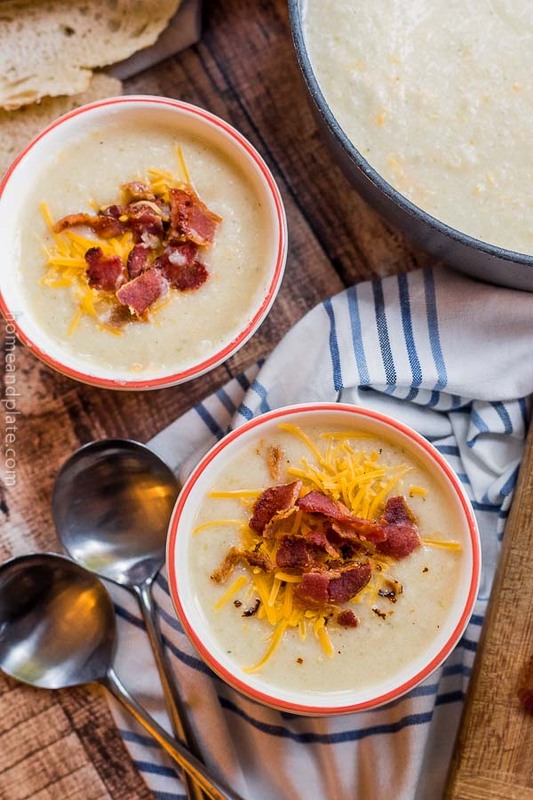 Love comfort soup and this is totally in that category with the cheddar and the thickness. And… we are expecting another snow storm tomorrow, so THIS may just be the thing to keep us all warm from the inside out! I love it!! And the flavours sound amazing! I know…we are too. Tired of this weather and ready for spring. The soup will have to do until warmer weather arrives. I love broccoli soup! I recently made one too without the cheese! Thanks for sharing!! I will have to try this cheese version! Thanks Sam…hope you love it! Looks great!. Send me 50 bowls! Coming right up:) Thanks Derek! This broccoli chowder really looks comforting and delicious. Thanks so much…it’s perfect for this Ohio weather.